Bump Steer Kit - 1978-1987 GM G-Body: Regal, Malibu, Monte Carlo, etc. Altering ride height on your 1978-1987 G-Body car can result in unwanted toe change during suspension travel. This is known as bump steer. Bump steer kits allow the user to alter the tie rod position on the spindle to correct bump steer. Our kit comes complete with black annodized billet aluminum tie rod adjusters, chrome moly teflon lined heavy duty 5/8" rod ends, and 4140 chrome moly tie rod to spindle adapters. 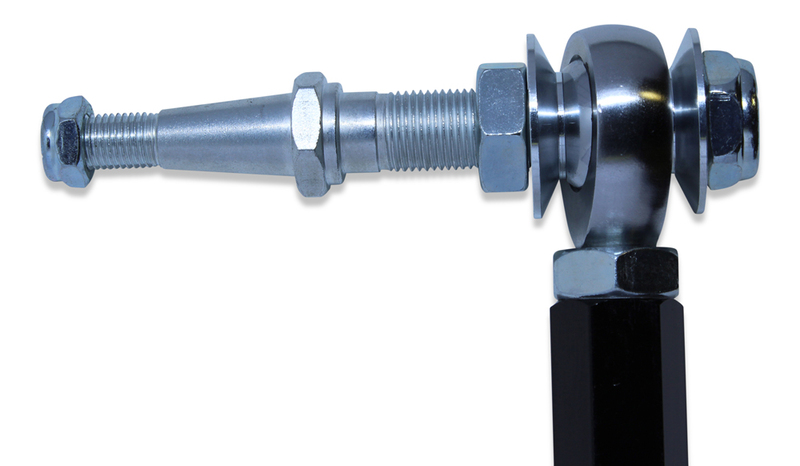 Our tie rod end to spindle adapters do not require you to drill out your spindle hole. Our tie rod end to spindle adapters are CNC machined from 4140 chrome moly and are machined to be a direct bolt on to the GM spindle taper. In addition, they are also on the car bump-steer adjustable. The tie rod to spindle adapters are fully threaded with double locking jam nuts for easy up-down adjustment that eliminates the need for spacers. 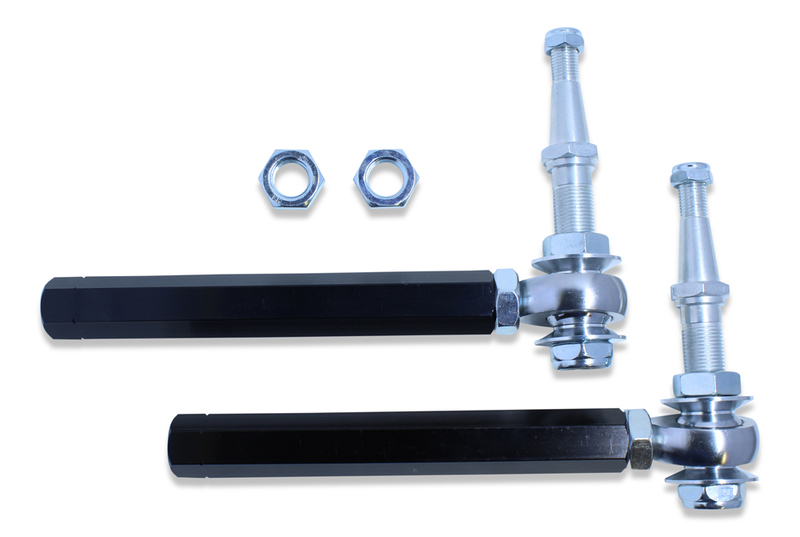 Our tie rod end set-up features 5/8" chrome moly Teflon lined rod ends with 5/8" chrome moly safety washers top and bottom for proper articulation and safety.